Full and detailed views of the cover of Hayakawa's Mystery Magazine No. 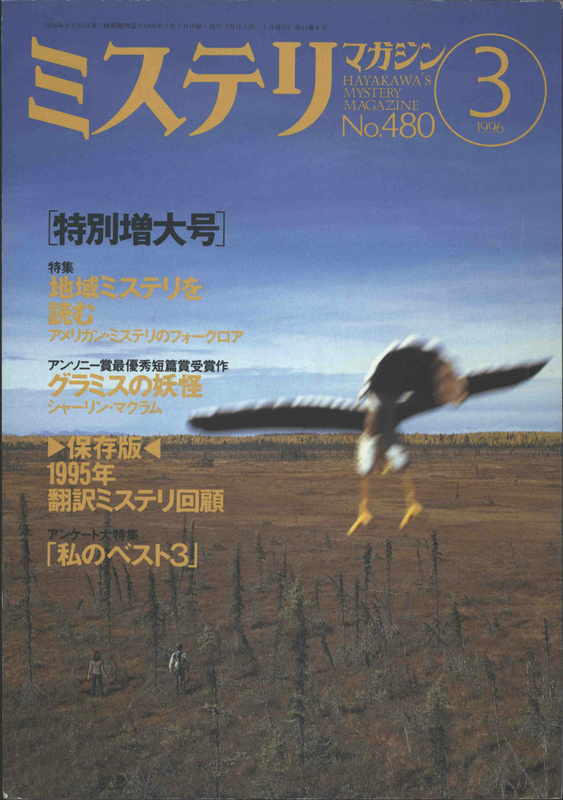 470 magazine that contains an excerpt of Tony Hillerman's Sacred Clowns, published by Hayakawa Mystery magazine in March 1996. The front cover shows an image of a man and a woman walking through a sparse landscape with wispy evergreen trees. A bald eagle is descending from the foreground towards the figures in the background. 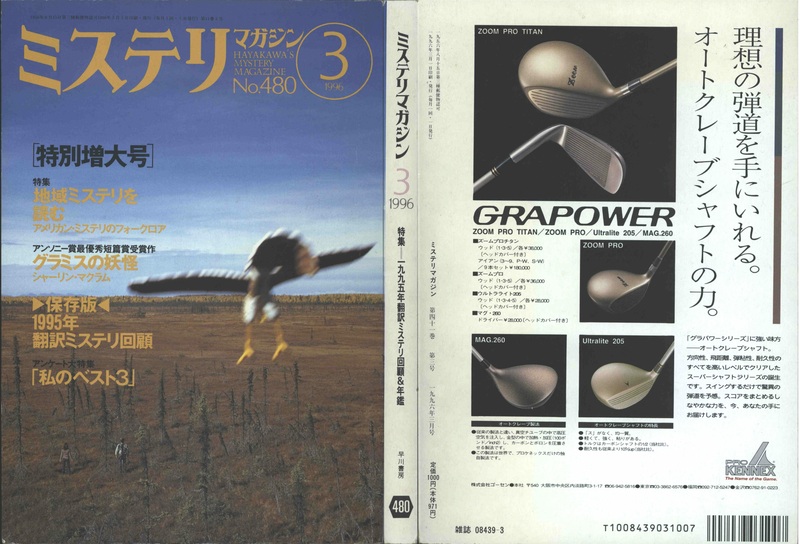 The back cover contains an advertisement for ProKennex Grapower golf clubs.